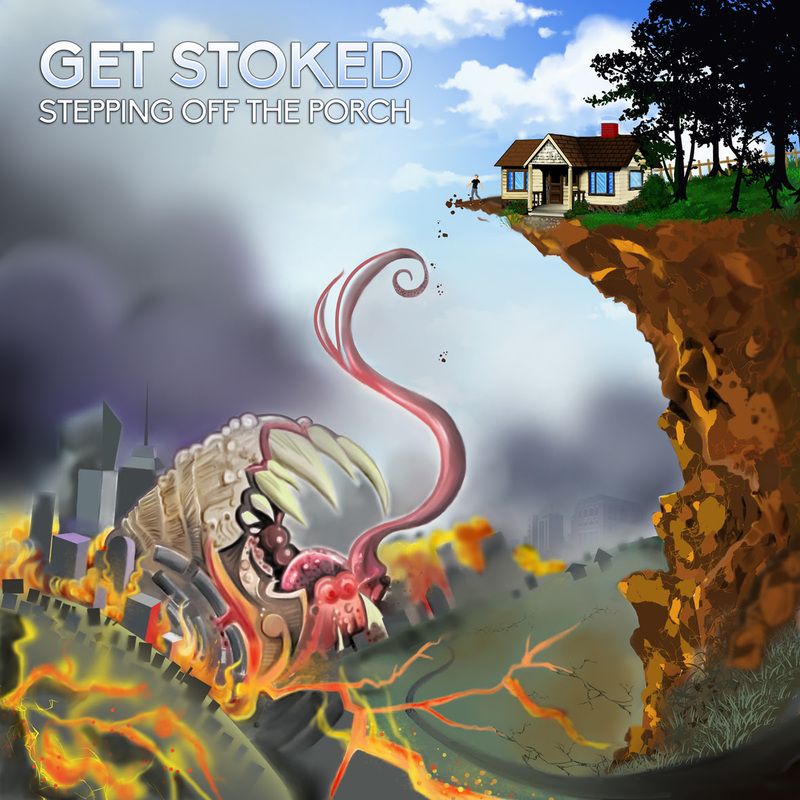 Review: Get Stoked – Stepping Off the Porch – Ouch That Hertz! Pop-punk never dies, it just takes on new forms. With a mid-2000’s style of intensity and composition, Get Stoked is the poster child for the revival with their new album Stepping Off the Porch. Listening to their album for the first time feels as if you got transported into 201, and you’re listening to A Day to Remember tracks that got cut. Their latest album, Stepping Off The Porch, is a tribute to the pop-punk renaissance, and they do an excellent job reminding us why we loved that era so much. The album begins with a raging track titled “Between A Rock And A Hard Place” that kicks the album off to an energetic start. The rest of the album follows suit, an unstoppable train of punk force that gets the listener excited and ready to mosh at Warped Tour. The track “Again And Again” is a casual semi-ballad that ends with heavy outro.